A very simple script, create to simplify game engine export process, with minimal options. Center pivot bottom : like previously, but on the bottom (-Z) of the transformation matrix. 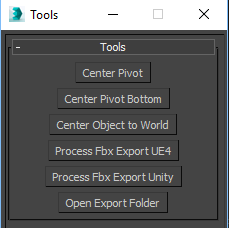 Center object to world : align selected objects to 0.0.0.